In LAUGHTER YOGA you do gentle stretches combined with giggles and laughter. You do laughter exercises with a childlike playfulness and enjoy doing silly things. You will leave class much lighter, energized and with a big smile on your face. 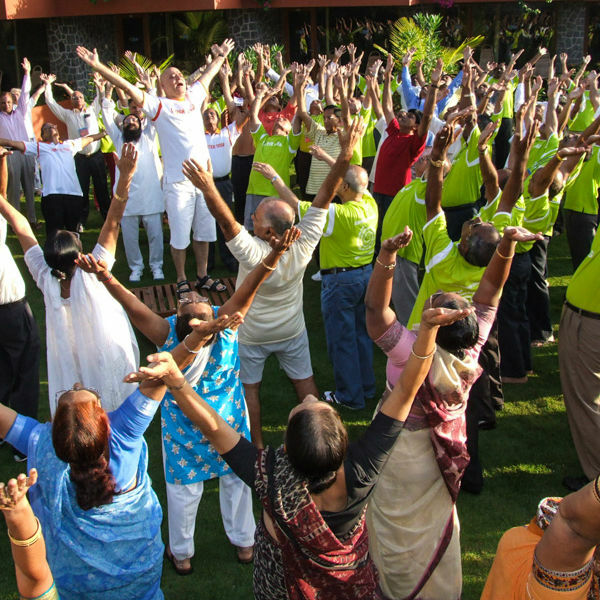 Simone has been leading Laughter Yoga classes since 2010. Through her warm and cheerful nature, participants feel comfortable from the start. In her own creative way, she creates different themes for various occasions, such as “Laughter Holidays”, “Laughing Animals”, “Back-to-school”, Valentines, Halloween or Christmas Special.